What is the meaning of this intriguing medieval mural above the fireplace in the Heritage Centre in Merchant's House? A traditional tea room within Merchant’s House serving morning coffee, light lunches and afternoon tea using vintage crockery. An attractive range of gifts is available for purchase within the Heritage Centre: a Heritage Teddy Bear, books on Colyton’s History and a range of items reflecting Colyton’s places of interest. 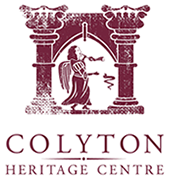 Welcome to Colyton Heritage Centre which is run by volunteers from Colyton Parish History Society. The Society carries out a wide range of activities including talks on local history, town walking tours, exhibitions and research projects. Publications on notable events in local history, some written by members, are on sale in the Heritage Centre together with local souvenirs. Researching your family history in Colyton? Need help? 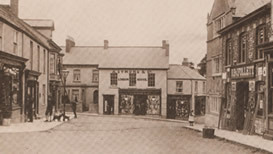 The Colyton Parish History Society operates a Family History Service Point in the Colyton Heritage Centre. This is an offshoot of the Devon Heritage Centre (formerly the DRO). Come in and speak to one of our knowledgeable volunteers. We have a large collection of books, local records and maps available at the Centre, either in hardback or on microfiche. 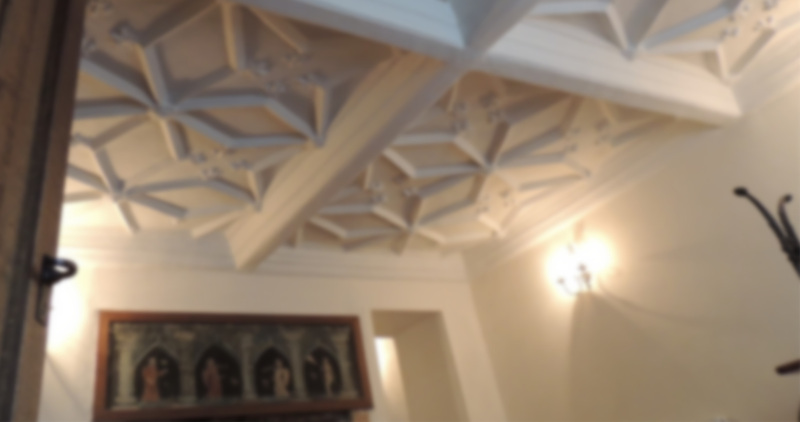 You are very welcome to come and browse our collection and seek advice and tips on how to find more information about your ancestors or your home. An attractive range of gifts is available for purchase within the Heritage Centre: a handsome Heritage Teddy Bear, books on Colyton’s History by local authors and a range of items reflecting Colyton’s places of interest. The sale of gift items will contribute greatly to help meet the running costs of the centre and fund future exhibitions. A traditional tea room within Merchant’s House serving morning coffee, light lunches and afternoon tea using vintage crockery. An array of mouth watering selections to choose from – hand made cheese scones, chunky toast, soup, platters, cakes and slices, Devon cream teas and daily specials.